The aims of this course are to introduce the principles, models and applications of computer vision, as well as some mechanisms used in biological visual systems that may inspire design of artificial ones. The course will cover: image formation, structure, and coding; edge and feature detection; neural operators for image analysis; texture, colour, stereo, and motion; wavelet methods for visual coding and analysis; interpretation of surfaces, solids, and shapes; data fusion; dynamic information; probabilistic classifiers; visual inference and learning; and face detection, encoding, recognition, and interpretation. Goals of computer vision; why they are so difficult. How images are formed, and the ill-posed problem of making 3D inferences from them about objects and their properties. Image sensing, pixel arrays, CCD cameras. Image coding and information measures. Elementary operations on image arrays. Biological visual mechanisms from retina to cortex. Photoreceptor sampling; receptive field profiles; spike train coding; channels and pathways. Neural image encoding operators. Mathematical operations for extracting image structure. Finite differences and directional derivatives. Filters; convolution; correlation. 2D Fourier domain theorems. Edge detection operators; the information revealed by edges. The Laplacian operator and its zero-crossings. Logan's Theorem. Multi-resolution representations. Active contours. 2D wavelets as visual primitives; Gaussian pyramids and SIFT (scale-invariant feature transform). Higher level visual operations in brain cortical areas. Multiple parallel mappings; streaming and divisions of labour; reciprocal feedback through the visual system. Texture, colour, stereo, and motion descriptors. Disambiguation and the achievement of invariances. Lambertian and specular surfaces. Reflectance maps. Discounting the illuminant when infering 3D structure and surface properties. Shape representation. Inferring 3D shape from shading; surface geometry. Boundary descriptors; codons; superquadrics and the "2.5-Dimensional" sketch. Perceptual psychology and visual cognition. Vision as model-building and graphics in the brain. Learning to see. Lessons from neurological trauma and visual deficits. 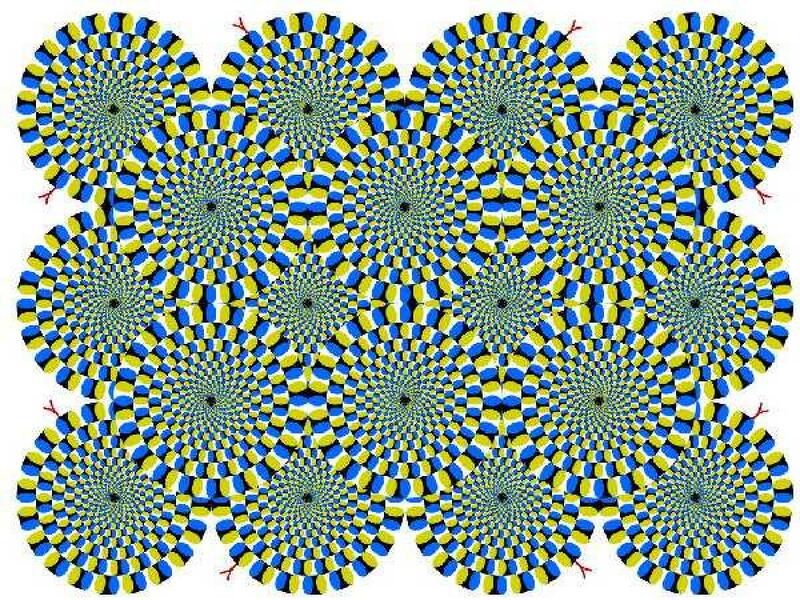 Visual illusions and what they may imply about how vision works. Bayesian inference in vision; knowledge-driven interpretations. Classifiers. Probabilistic methods in vision. Object-centred coordinates. Appearance-based versus volumetric model-based vision. Vision as a set of inverse problems. Mathematical methods for solving them. Approaches to face detection, face recognition, and facial interpretation. (week of 22 Jan 2010): Exercises 1 - 5. (week of 29 Jan 2010): Exercises 6 - 8. (week of 5 Feb 2010): Exercises 9 - 10. (week of 12 Feb 2010): Exercises 11 - 12. (week of 19 Feb 2010): Exercises 13 - 14. 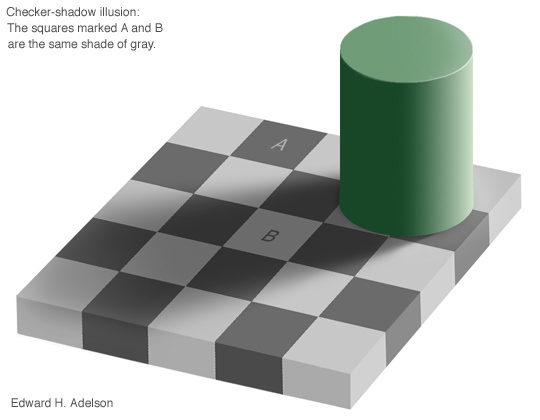 Also study this compelling lightness illusion, this illustration of colour-constancy, this motion illusion, and this collection of dynamic, colour, and cognitive illusions, and try to explain them! More collections exist here and here. (week of 26 Feb 2010): Exercise 15 - 16. (week of 5 Mar 2010): Exercise 17. View this 5-minute video about 3-D morphable face representations, and this 1-minute demonstration of generative models for facial expression, applied dynamically to ("talking") paintings and photographs. For background on the case studies in computer vision, here is a paper about face recognition and here is one about iris recognition and another about how it works. Intel Open Source Computer Vision Library and its Reference Manual; and the SourceForge OpenSource Computer Vision Library.